Please see Volume I for a full description. Contents: Part I:Universal Design. Part II:Adaptive and Intelligent Interfaces. Part III:Architectures and Tools. Part IV:Multimodal, Continuous, and Ubiquitous Interaction. Part V:User Diversity and User Participation. Part VI:Human Factors, Ergonomics, Guidelines, and Standards. 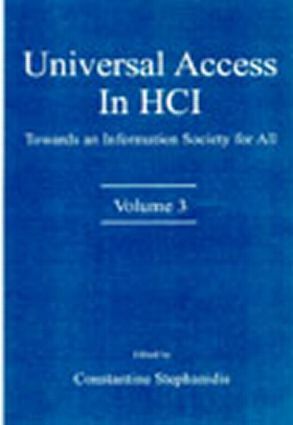 Part VII:Access to Information. Part VIII:Applications. Part IX:Assistive Technologies. Part X:Cultural, Legal, Ethical, and Social Issues.